The Phoenix Foundation gets intel that an assassin known solely as S-218 is in Los Angeles, and while pursuing a lead they learn that his target is MacGyver. The assassin (aka Murdoc) threatens Bozer and reveals to Bozer the truth about MacGyver and his line of work, and then a shootout ensues at MacGyver's home with Murdoc being taken out by one of MacGyver's wine bottle rockets. Murdoc escapes and then lures the team to a junkyard and holds them hostage in exchange for MacGyver turning himself in. I enjoyed MacGyver's escape from the empty, locked room in the Phoenix Foundation. Although it was odd that Patricia distrusted him to the point of locking him up and didn't give him any food, water, or a place to sit down, I still liked the escape since he really made something out of nothing. While Justin Hires did a good job playing Bozer in this episode, I thought the plot line of him being wounded by MacGyver's "deception" was overdone. I understand why Bozer is miffed after being shot at, but if his profession and all that it entails is classified, I don't see why he needs to apologize to Bozer for keeping it a secret. Makes rockets out of wine bottles, paper towel tubes, a plastic rod, and duct tape. I saw it coming where MacGyver was going to end up as the assassin's target, but it was still a compelling moment when they find the photo of MacGyver and realize he's next on the hit list. Why is Jack shouting that he's out of ammo? Riley has super long hair. The junkyard locale is an homage to the junkyard in Partners (the first Murdoc episode in the original series), and it's nice to see MacGyver pulling up in a jeep. I liked David Dastmalchian as Murdoc and thought he was able to play the role with great arrogance and gusto, but the material he had to work with wasn't particularly strong in terms of dialogue and action -- with the dialogue I thought they spent too much time on the "I'm so excited to face someone as smart as you MacGyver" angle, and the action scenes weren't very imaginative compared to the original Murdoc episodes. I was also hoping to get a dramatic faux-death scene where Murdoc yells "MACGYVER!!" and so it was anticlimactic when he was merely taken away in handcuffs. I did like that they played up his code of honor because that was something which was an important part of the original Murdoc's character. The ending scene with Nikki had some good energy even though she just talked in riddles. This episode fits in line with the rest of the series so far in that it's respectable but not something that really gets my juices flowing. But I liked Dastmalchian and with a better script I think there's potential for his appearances to be more memorable. I had a similar take as you on this one. I thought the first half of the episode was quite good with the scenes at the party where I also noticed Riley's long hair and thought she looked really good like that, as did MacGyver's "date" in the opening scene. I liked the escape from the locked empty room and Jack's "what took you so long?" response when he saw MacGyver, knowing that he'd break out. And I thought the emergence of Murdoc was nicely done, complete with a revelation that he was hired by Nikki and the surprise entrance into MacGyver and Bozer's pad. That was my favorite scene of the episode with Dastmalchian's presentation in the introductory scene with Bozer, and featured pretty much the only good dialogue Murdoc was given during the hour. The wine bottle cannon was fun too. Then came the second half of the episode which was a letdown. As you said, Bozer's pity party about being "betrayed" my MacGyver drug on wayyyy too long. While the homage to the wrecking yard scene in "Partners" was fun generally, Murdoc's dialogue and character actions were very disappointing. Michael Des Barres' Murdoc would simply never conduct himself that conventionally or sloppily. Nobody was ever gonna be able to replace Michael Des Barres in this iconic role...let's just clear that up right away.....but Dastmalchian did have some solid footing for the role had he been presented with worthy material. His opening scene at MacGyver's apartment touching base with Bozer was so promising but everything in the episode's second half fizzled pretty badly. And what's the deal with that final scene with Nikki in the diner? Did she or did she not just hire a hit man to have him executed? But now she's sneaking up on him to assure him she's not the real bad guy? It made no sense, and was a disappointing encore from a villainess I thought had potential in the Pilot. For the first half of this episode, I thought I had found my first episode of the reboot I was gonna be able to give an unqualified endorsement of, but they couldn't hold it up for the whole hour. I do like that they're making the tone of the series a little more serious and judging by the previews of next week's episode, it seems like that will continue. Still, the air of soullessness and complete lack of creative inspiration for this project continues to be a millstone around it. I'm glad they have a full season to flesh this out as it's no longer a complete embarrassment but eight episodes in and they have yet to find their footing. You couldn't say that about New MacGyver and Patricia Thornton! I don't like this guy as Murdoc. I know we'd never get MDB-level charisma, but this guy was so flat. And, I have NO idea what the writers were doing, but why did Murdoc talk so damned much? Original flavor never talked that much. He taunted Mac, sure, but he didn't babble endlessly like he had to fill every silence with his own arrogance. And how disappointing was that junkyard scene? 'Oh - Riley ttly hacked ur gunz, bye now.' Where is the last-minute escape from MacGyver? This is the crap you run into when you give Mac a whole team of people and make them main characters, you have to make sure they feature heavily in the episode and it weakens the writing as a result b/c they don't have to try as hard, since they can just whip out more guns. I tried. I did. I even went into the first episode with super low expectations, but they haven't even managed to hit those and I don't think I can watch any more of this reboot. The writing is lazy and sloppy. The characters are too many and most of them are flat. This episode, there were only like 2 points that felt 'MacGyver'-y to me, and that's not enough. If y'all can keep going - more power to you. Wish I could disagree with any of that. The only thing I will disagree with is that I think the new Murdoc has the potential to be compelling if he didn't have such clunky material. Murdoc in the original was suave (in a creepy sort of way) and a little bit mysterious. When he stepped into the scene, you knew it was going to be a good ride. This new guy - ducked around corners like a scared rabbit, and burst into a scene with a flashing neon 'look at me!' sign. That's sort of the opposite of Murdoc. And don't even get me started on the cheap 'tricks' they pulled to hide Murdoc's face - which made like zero sense. 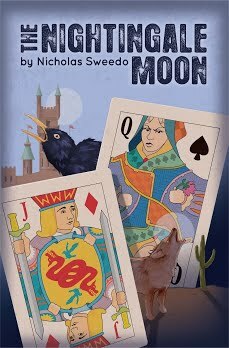 • Mac’s on a date with a beautiful, smart woman and he is trying to get out. He talks to himself and then decides to kiss her. After that the dialogue was forced and awkward. The Classic Mac was a little more bashful around women. We don’t ever learn how or when they got out of the challenge room. • I usually like the paper clip part of the show. But this time I did not understand what the symbol was. Anyone??? • If you are going to put Mac in a protective safe room. It should not have a drop ceiling that can be easily accessed. • There is a gun fight in Mac and Bozer’s house. Where do they live? Don’t they have any neighbors? Doesn’t anyone call 911? • The hit man is a terrible shot. Really? How can he miss in a confined space with a semi-automatic rifle? • In the art showing, everyone is all dressed up. Did we ever see Classic Mac wear a coat and tie? • Camera angles on the hit man’s face, especially in the junk yard, were too close up and strange. • Electrifying the railing to zap the assassin. • During the attack at Mac and Bozer’s house, Mac tells Bozer to pour out 1/3 of the wine in each bottle. Instead of pouring it out, Bozer drinks it. • Bozer finally has an interesting, useful role in the episode. He now has more than just a filler role. Will he be offered a job at the Phoenix Foundation? It would conflict with his theater ambitions, which is why he quit his current job. • Mac overriding the radio transmitter for Murdoc’s junk yard guns. Enter Murdoc. I hope all ten year old boys get as excited when they see David Dastmalchian’s name in the open credits as Nick did when he saw Michael Des Barres’s name. I think the episodes are getting better, but I'm far from happy yet. Also, Murdoc being taken away in handcuffs was VERY anticlimatic. Riley saves him from being killed by Murdoc by using her hacking skills. 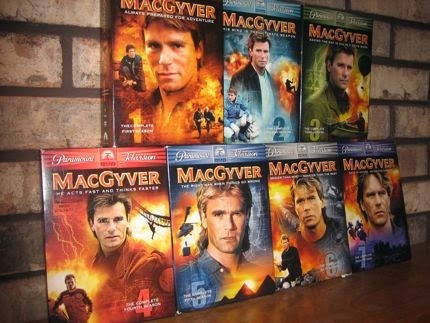 Even though MacGyver is part of a team in the reboot, he's still the hero. At least he should be (since the show is carrying HIS name and all that)! While I'm totally ok with him showing weakness every now and then, I don't want him to turn into the damsel in distress that needs to be saved by Riley's computer and Jack's gun all the time! From now on, he's going to be saved by Bozer's handy drawing and mask creating skills, too? There was an easter egg in the final scene. Mac made 2 forks with a tooth pick got equilibrated, just as he did in the original show, when he was teaching as a guest at an high school.